Revealing video course shows you how! The higher your search ranking, the more likely your website will be found. If your objective is to drive traffic to your site, so you can sell more books, you'll need to understand SEO (Search Engine Optimization). This course will show you best practices for optimizing your web pages and getting the best results from searches on Google and Amazon. After you purchase the course, you will receive a link with a login and password to access the video online. Google is a powerful and mysterious tool. Many don't understand what goes on in the black box that is Google. Let us take some of the mystery out of SEO for you. There are specific actions you can take to optimize your site so that you can rank higher on Google. 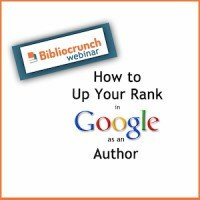 In this lesson, you will learn the basics of SEO and how to up your rank in Google and other search engines as an author. Don't be satisfied with a sub-par Google ranking. Order this today and learn the insiders' tricks of the trade that will help get you to the top of the page and the achieve the visibility you want. Miral has worked in the media industry for 15 years, most recently at TIME Magazine where she developed and implemented the digital SEO strategy that enabled TIME to be one of the most trafficked sites in the industry. Miral has lectured at Yale, NYU, CUNY, Pace, and other universities across America and helped numerous authors market their books. She and her writing have been featured in TIME, CNN, WSJ, NYTIMES, NY Daily News, among other media publications. She has a MS in Publishing (Digital + Print Media) from NYU and a BS from Columbia University in Electrical Engineering and Computer Science. You can catch Miral on Twitter at @Miralsattar.